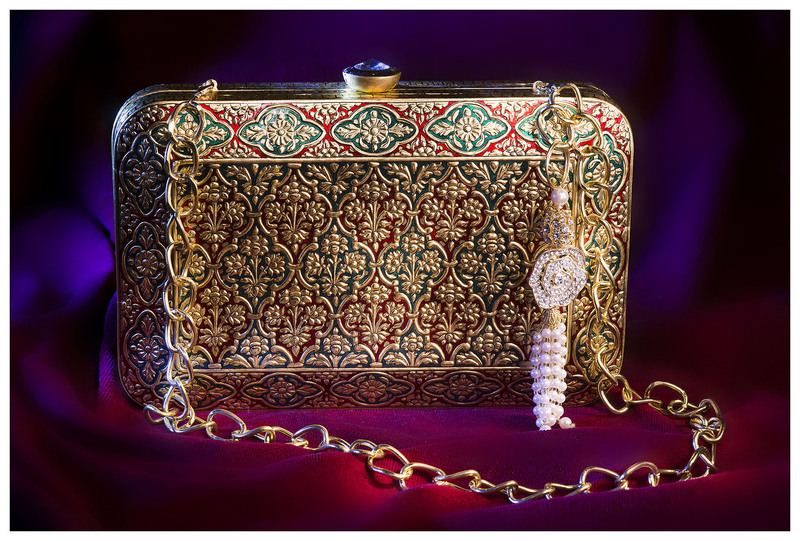 This sophisticated, sparkling handcrafted 24 carat gold leafed clutch will look elegant and glamorous. A definite style statement, glitter away with this beauty. Previous Post Get Set For Wednesday!